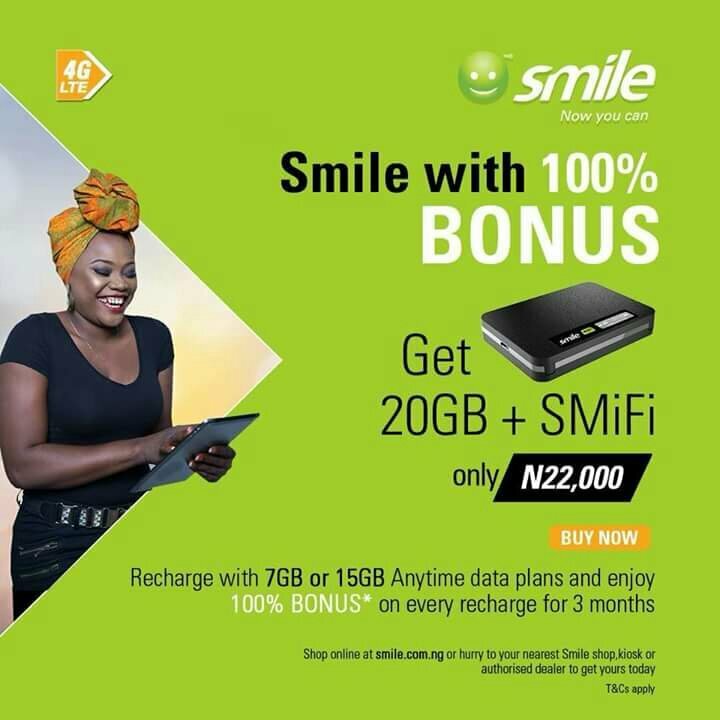 Another 4G LTE device is here again, just after nTel unveiled the WAWU SIM which was posted here with the bonus attached to it, here another 4G LTE device launched by Smile Communication called SMiFi that comes with 20GB free data and 100% double data valid for 3 month. These device is being sold for just N22,000 (20GB + 100% double data bonus for the next 3 months) as stated in the banner and can connect 8 devices together simultaneously over WiFi with super fast internet speed on the go. 20GB Anytime data + 100% BONUS on recharge for 3 months when you recharge with 7GB or 15GB Anytime data plans. New 4G LTE SMiFi device for SuperFast internet on-the-go. 100% BONUS data consists of 50% Anytime + 50% MidNite data. MidNite data can be used from midnight to 6AM Internet for the whole family. SMiFi connects up to 8 devices simultaneous via Wi-Fi. 100% more data for the next 3 months. Watch movies and videos online. 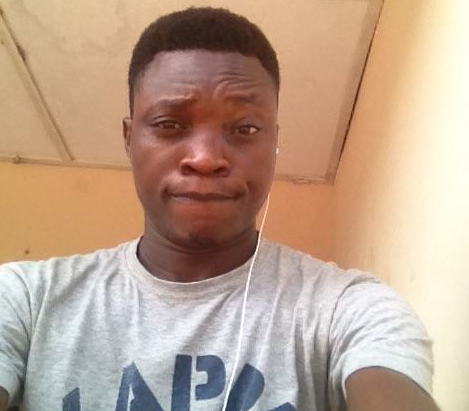 Stay in touch with friends on social media and so much more. Bonus data is valid for 30 days and consists of 50% Anytime + 50% MidNite data (MidNite data can be used from Midnight to 6AM). You can take your SMiFi with you, where ever you go, for SuperFast and SuperReliable internet on the go.